On May 28th, Narine Dat Sookram, the 2016 Public Peace Prize winner in the category of Social Integration & Community Peacemaker, was presented with a commemorative plaque. 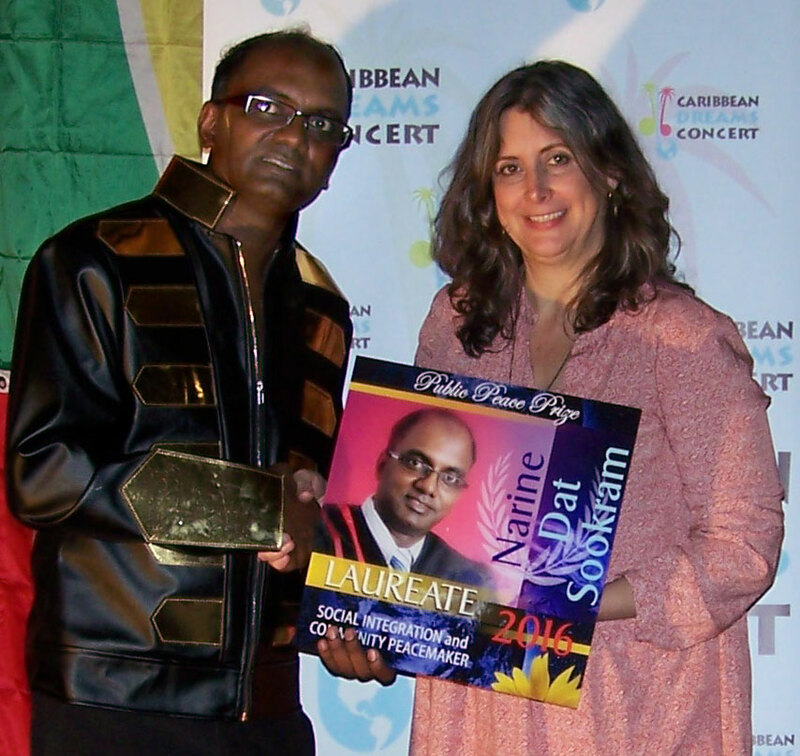 He received this honour during the Caribbean Dreams Concert in Kitchener, Ontario (Canada). It is very fitting for him that the award be presented not only at the annual concert that he has been organizing for the immigrant community for the past 14 years, but also that it aligned with the commemoration of Guyana’s 50th Jubilee of independence. A member of the Public Peace Prize team was in attendance to present him with this well-earned mark of recognition and appreciation. Narine is of Guyanese descent, and his concern and support for others branches out from his local community to the greater Canadian community, extending to the Guyanese community both locally and abroad. 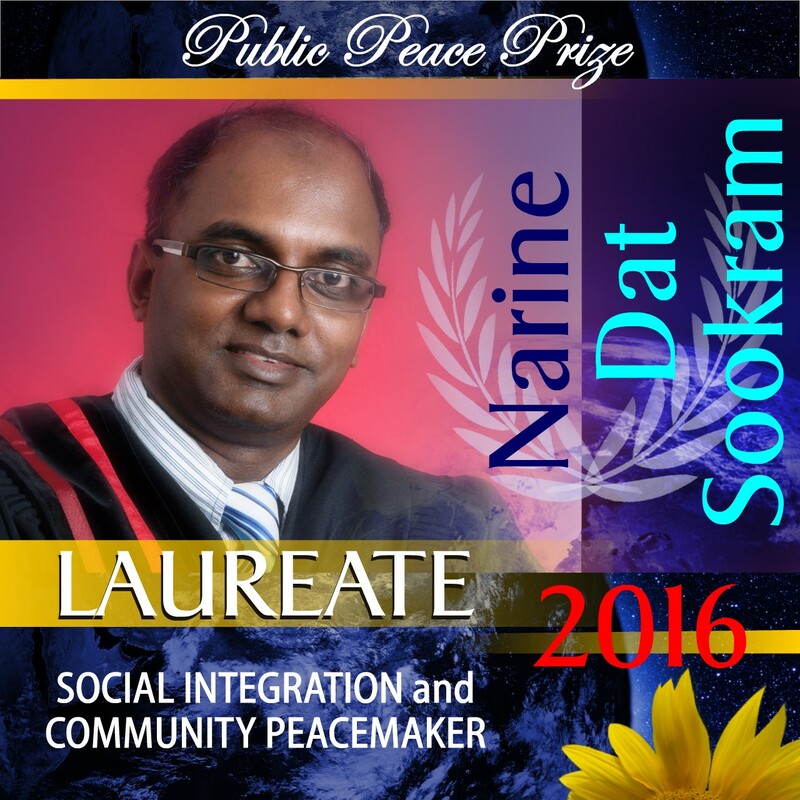 Dr. Narine Dat Sookram, Hon. D. Hum. Litt.